MANOS: THE HANDS OF FATE: Desire And Surrealism In El Paso – Schlockmania! The best bad movies often play like the celluloid version of outsider art. The true anti-auteurs bypass the idea of being bad at filmmaking and move into a realm where the dialogue, acting, story design and filmmaking choices are so far outside what is normal or acceptable that the sum total of all these elements force you to question reality. Ed Wood Jr. is the patron saint of this kind of outsider cinema but periodic challengers to the throne pop up, often being rediscovered long after they were first rejected by the mainstream. Manos: The Hands Of Fate is amongst the most interesting examples of non-Ed Wood outsider art cinema. It was revived for modern audiences via one of the most popular episodes of Mystery Science Theater 3000, an episode that found the show’s resident snarkmeisters reduced to weeping and wailing in agony. The brainchild of El Paso salesman Hal P. Warren, it was intended to be a b-movie that would allow him to build a filmmaking career. Instead, it became one of the great one-off bizarro classics of outsider cinema. 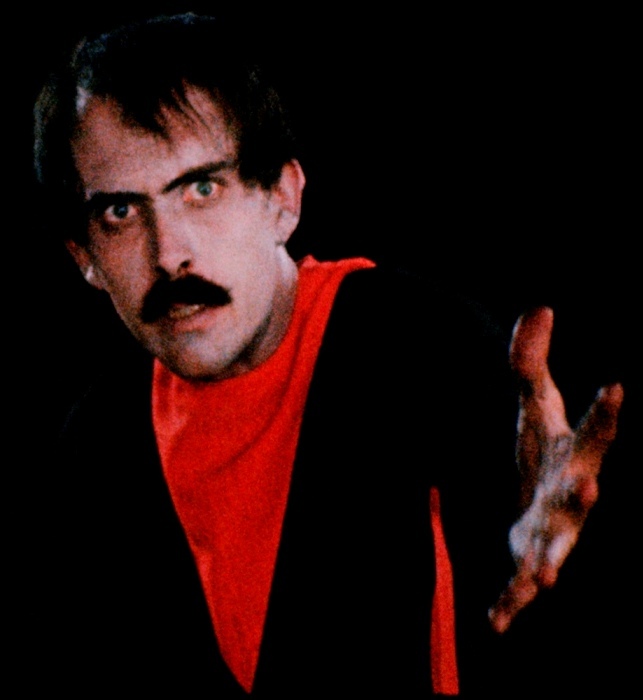 The premise of Manos: The Hands Of Fate plays like a demented, feature-length version of a Twilight Zone premise. 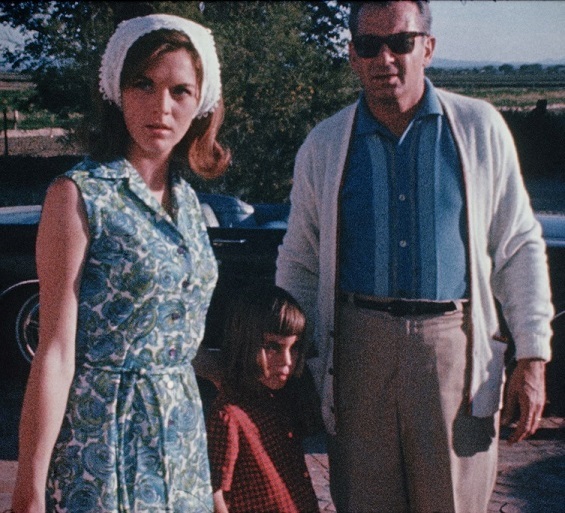 Michael (Warren), his wife Margaret (Diane Adelson) and their daughter Debbie (Jackey Neyman) are driving to a vacation when they become lost and end up at an isolated lodge. 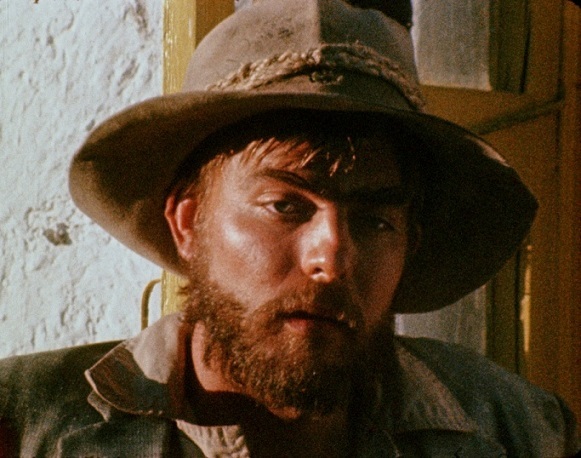 Said lodge is tended to by Torgo (John Reynolds), a weirdo desert rat who reluctantly takes them in. The family doesn’t know they stumbled onto the lodge of a sinister deity known as the Master (Tom Neyman), who has sinister plans for the brood. Manos: The Hands Of Fate quickly wears the viewer down with its non-aesthetic approach to filmmaking. The visual style is raw and sometimes blurry, the result of a primitive 16mm camera that could only shoot half-minute takes and had a tricky viewfinder that made focus difficult. The oddball score veers from cocktail jazz to an cocktail jazz band’s awkward version of a horror movie score. Performances range from barely-there to commandingly eccentric, with the weirdness enhanced by hasty post-synch dubbing. Top it all off with a storyline that manners to be surreal, perverse and pedestrian all at once and Warren’s non-technique as a director and you have a movie that will send anyone in search of easy entertainment running for the door. However, those brave enough to stick with Manos: The Hands Of Fate might find its accidental weirdness captivating. Even at its most mundane, there’s something undefinably creepy about the film: the MST3K crew famously touched on this when they said every image in the film looks like “someone’s last-known photograph.” Themes of polyamorism, child homicide and pagan worship lurk beneath the film’s G-rated exterior. Torgo is almost like a character from a David Lynch film, with a twitchy, sleazy performance from Reynolds that is unforgettable. Tom Neyman is also pretty memorable as the robe-clad Master and his harem of squabbling ghost brides provide some indelible moments, particularly when they get into a huge catfight. In short, Manos: The Hands Of Fate is a litmus test for a viewer’s appreciation of outsider cinema. Whatever its failures as a conventional piece of narrative filmmaking, those same flaws allow it to offer the viewer a glimpse into a genuine, demented alternate reality. It will never be respected but its infamy will live on long after this year’s Oscar bait has been forgotten. Schlock-Wire: Get The Motherlode of Genre Ad & Video Release Scans With CRITICAL CONDITION’s Complete Scan Collection!